Barely a few months have gone by since the release of the awesome Twenty Twelve theme and Twenty Thirteen is already knocking on our door. 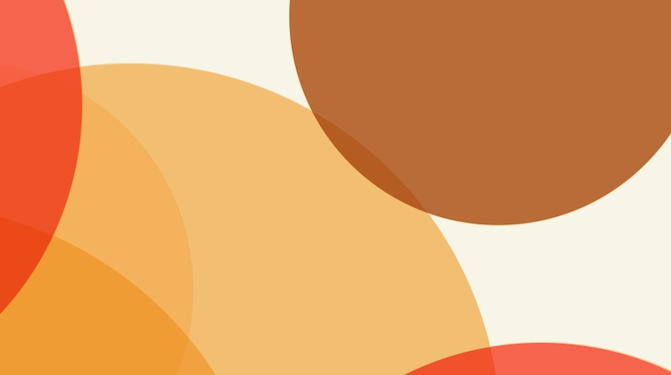 Late last night WordPress lead developer Mark Jaquith announced the arrival of a “first draft” of the next official WordPress theme. The question is, what does it look like and does it represent a step in the right direction? This is curious, given that WordPress in general seems to be a maturing as a fully-fledged Content Management System (CMS). Then again, the official WordPress theme is intended to act as an introduction and key features showcase rather than a full-blown song and dance routine, so perhaps a more “bloggy” theme is the way to go. My first impression was something along the lines of, “Yikes.” That’s a lot of color! 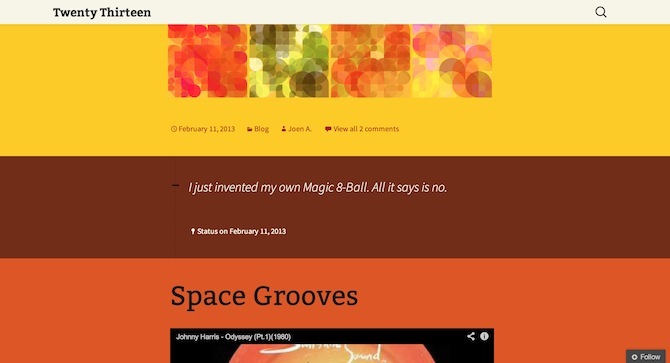 It’s the kind of theme that looks pretty fantastic but surely would only be suitable for a certain style of blog. In the same way that Twenty Twelve is all-embracing without being overly bland, this iteration of Twenty Thirteen is brash, bold and fearless. I don’t know whether to like that or rail against it. As I consider the design further I can’t help but feel that this might be a step in the wrong direction for many WordPress users. I don’t think this is the kind of theme you can easily build child themes upon (like previous “Twenty X” themes) — to me it screams, “Take me or leave me.” In my opinion that rather defeats the object of the theme in serving as a testing ground for enthusiastic WordPress newbies. The conflict for me in the fact is that I really like the design for what it is, but I am not convinced that it serves well as a “Twenty X” theme. There is a lot to like — from the color-coded post formats to the slick full-width, fully-responsive mobile friendly design. One of the goals of having a new theme every year was to give ourself room to experiment. That hasn’t really happened. We’ve been far too conservative, trying to make themes that work reasonably well for everyone, but don’t push boundaries too much. That changes with Twenty Thirteen. It’s hard not to have a strong feeling about the theme, one way or another. It defies you to give it a shrug or a kurt nod. Some of you will hate it. And that’s okay. We’ll still be shipping Twenty Twelve, which is an excellent base theme and a canvas on which you can build anything from a blog to a static content site. 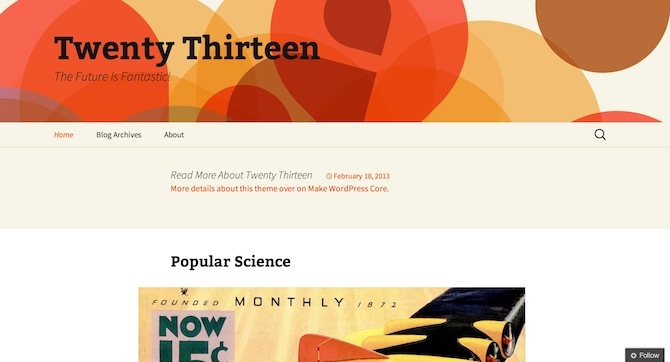 But with Twenty Thirteen we’re taking a bold stance: this theme was meant for blogging, and it’s not a blank canvas. It comes pre-marinated with playfulness and warmth and opinions. I have to say, I think he’s got a point. Twenty Twelve does serve perfectly well as a framework, so why not strike out and try something different and exciting? It’s certainly going to attract some ire from certain folk and I myself may end up disliking the theme, but I like the attitude that Jaquith and co are taking. Twenty Thirteen may prove to be the most divisive offering yet, but only time will tell. It is important to remember that this is only a first draft and there will be plenty of future iterations to come, but from this first look we can certainly expect quite a statement. Check out the demo site on WordPress.com yourself here. It’s good to see that it’s fully responsive. I just hope the new 13 theme offers more page template types built in and an alternative home page option. That way you can set the home page to something other than just latest post and a fixed page.